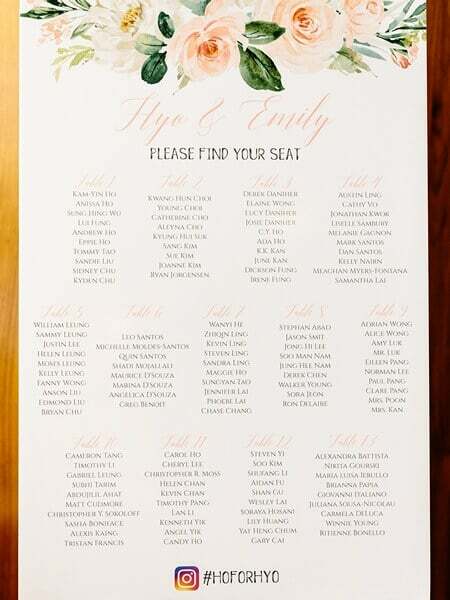 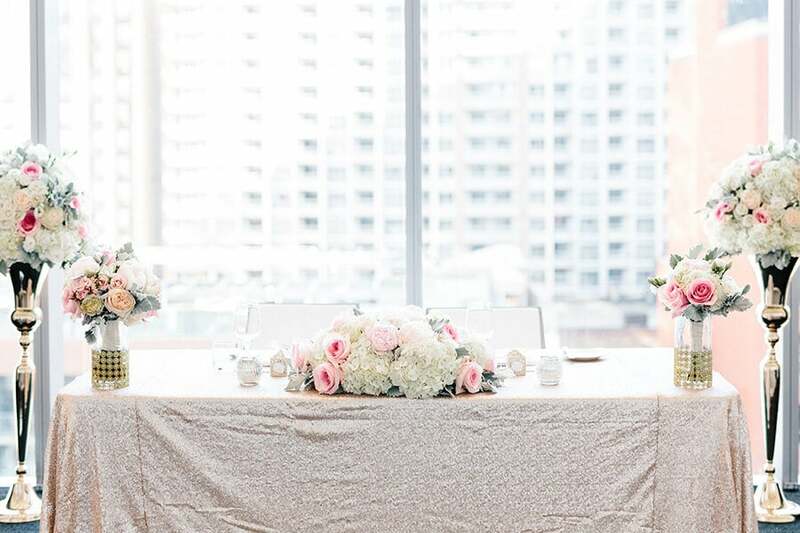 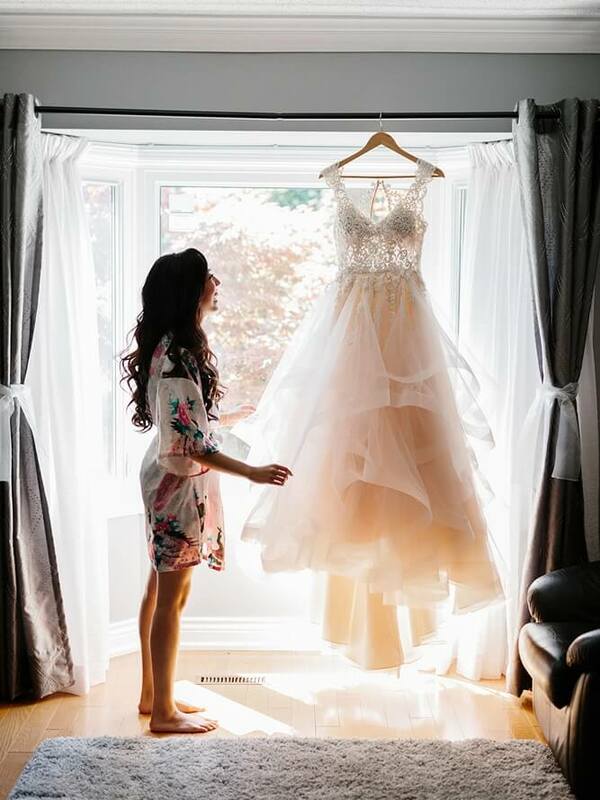 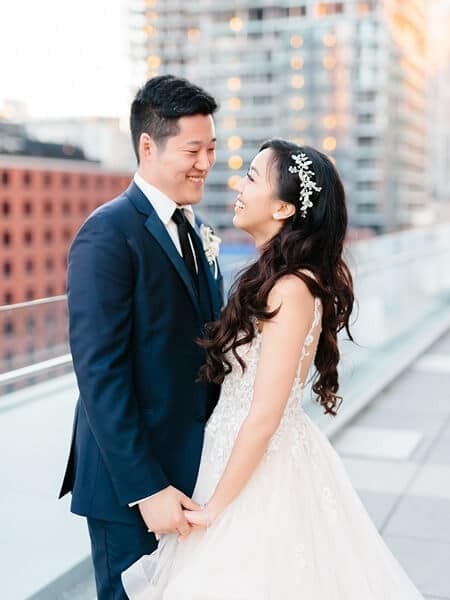 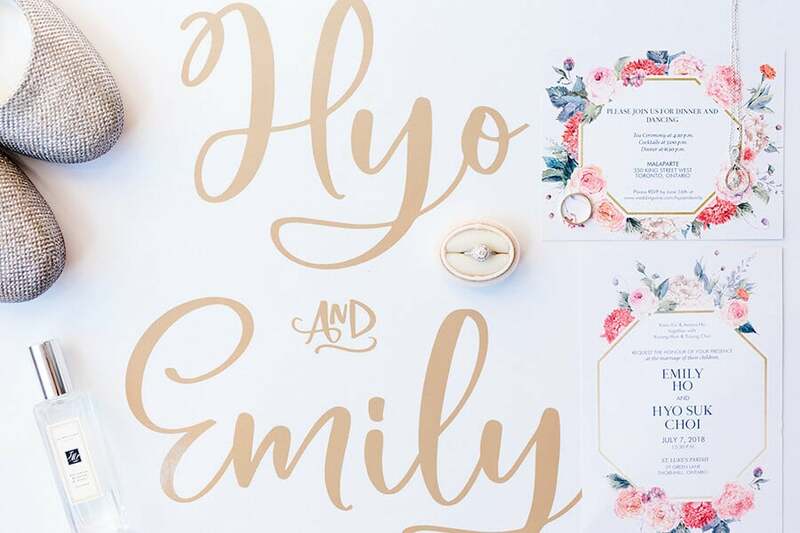 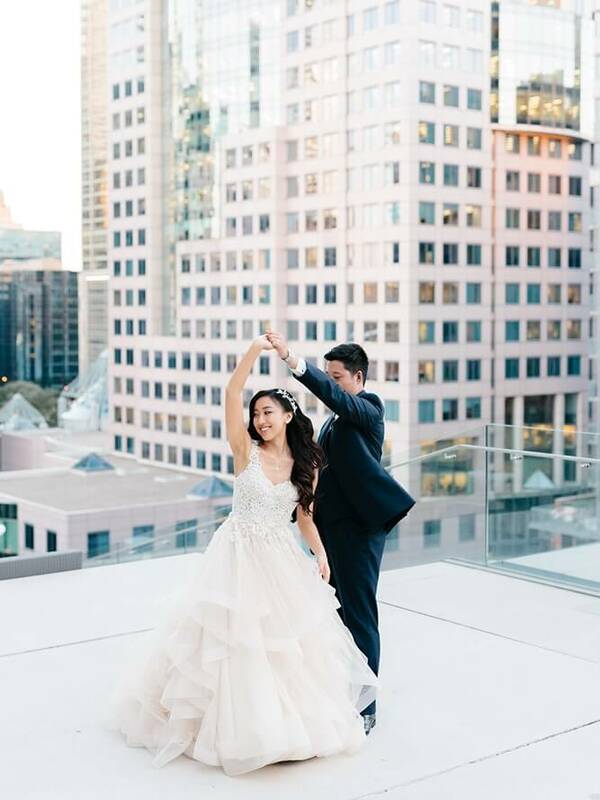 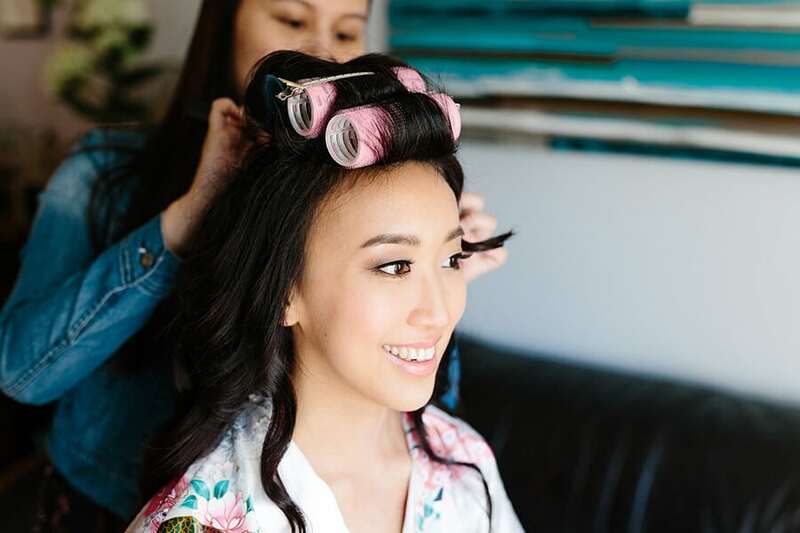 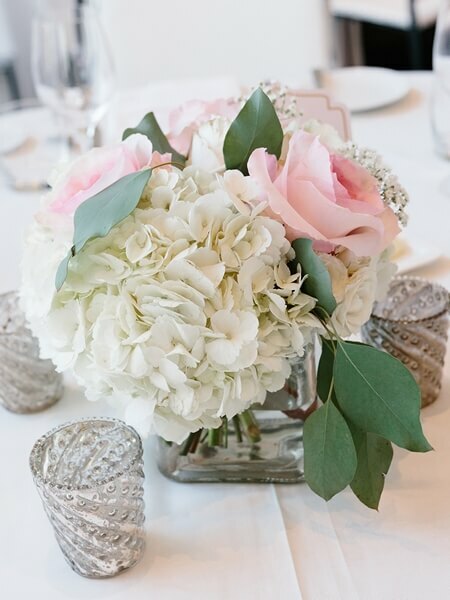 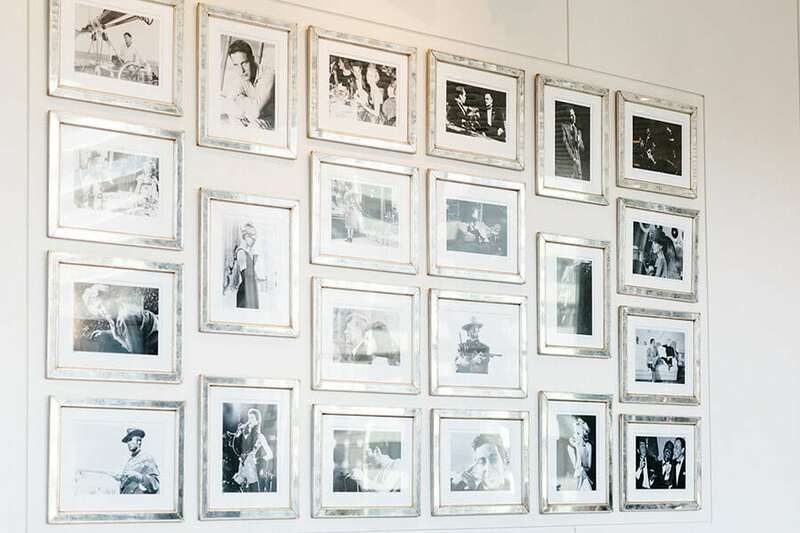 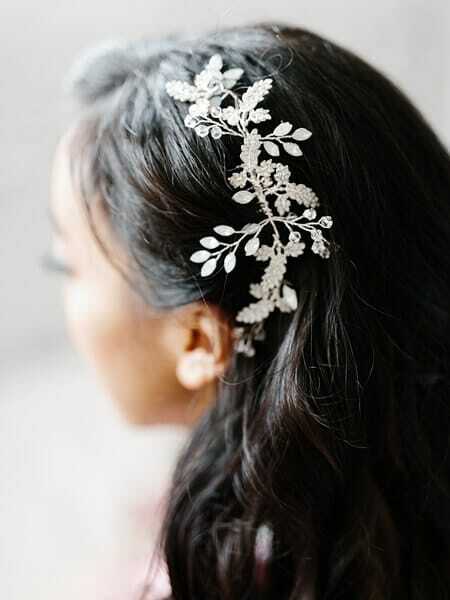 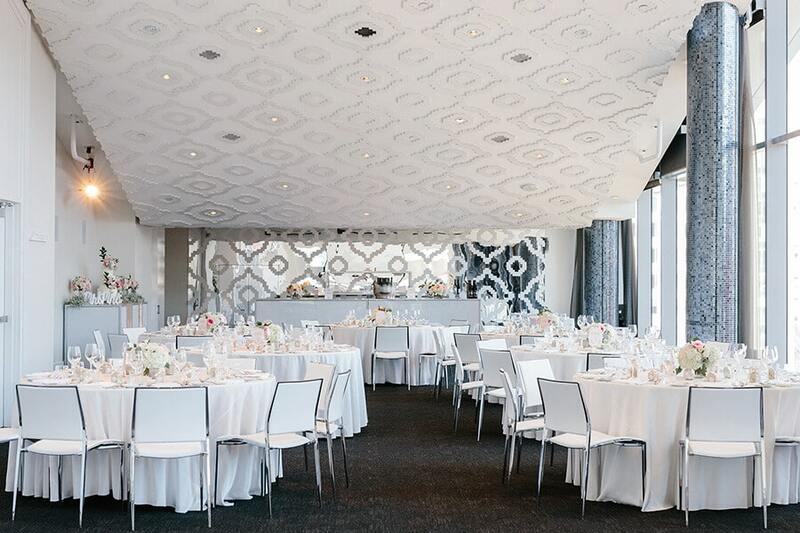 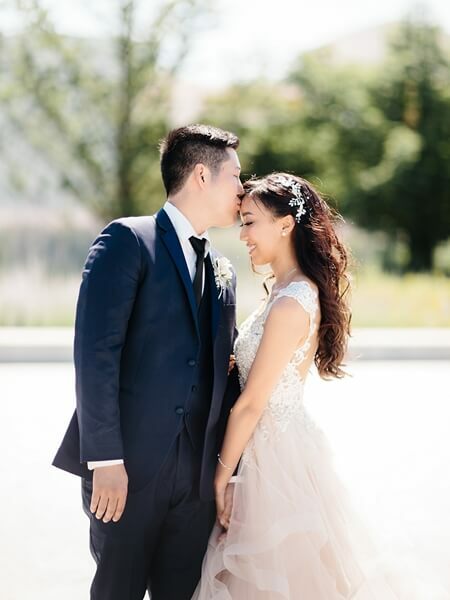 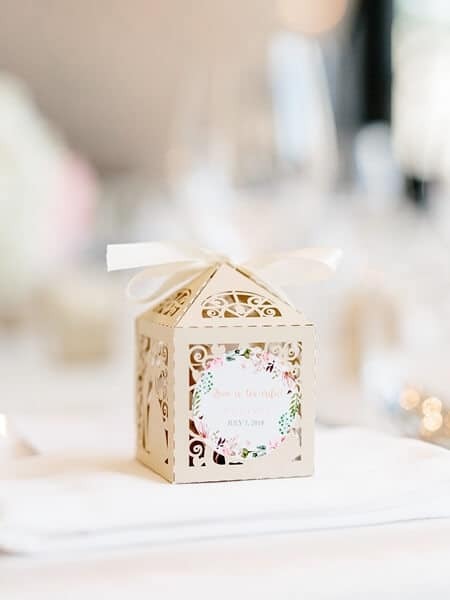 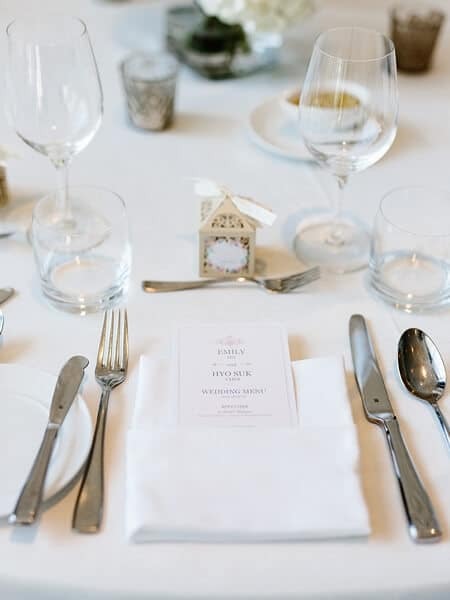 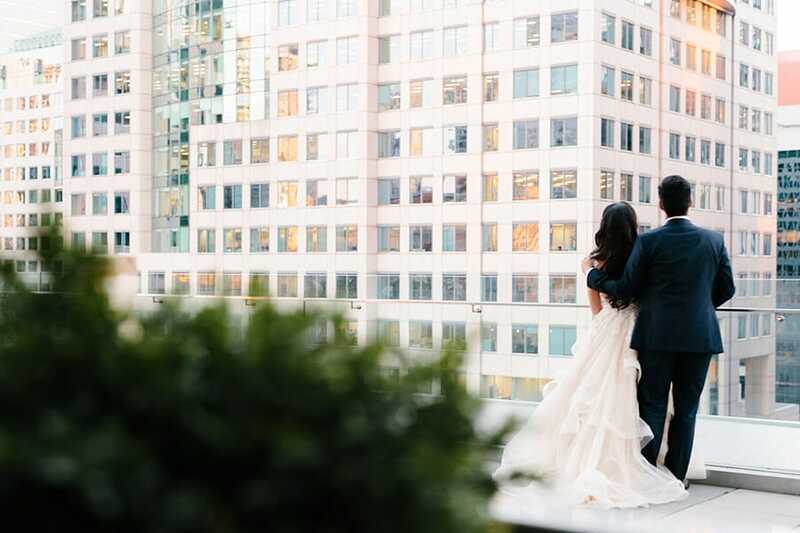 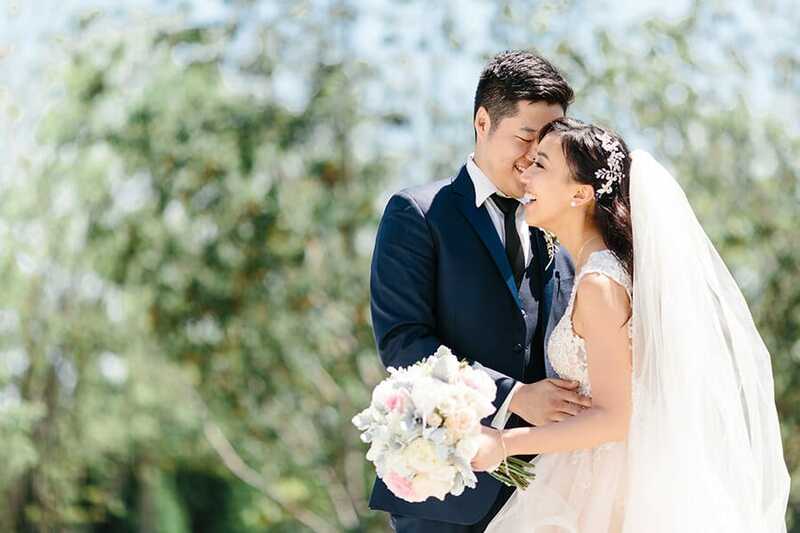 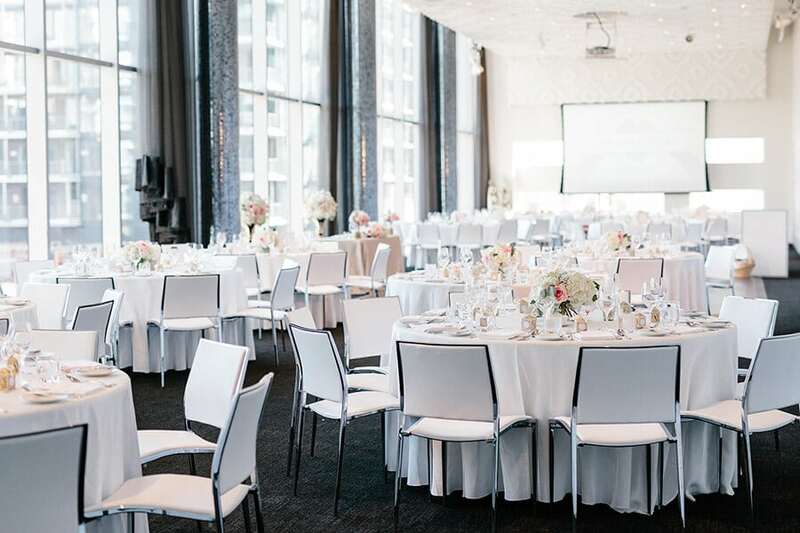 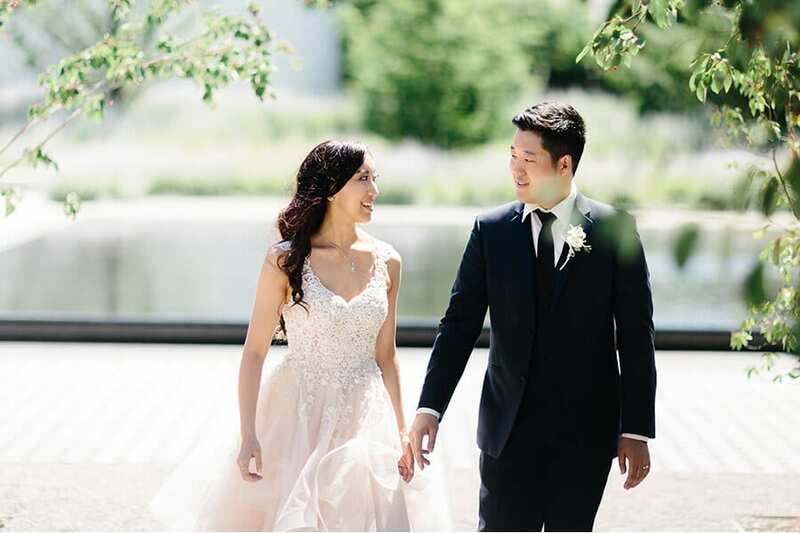 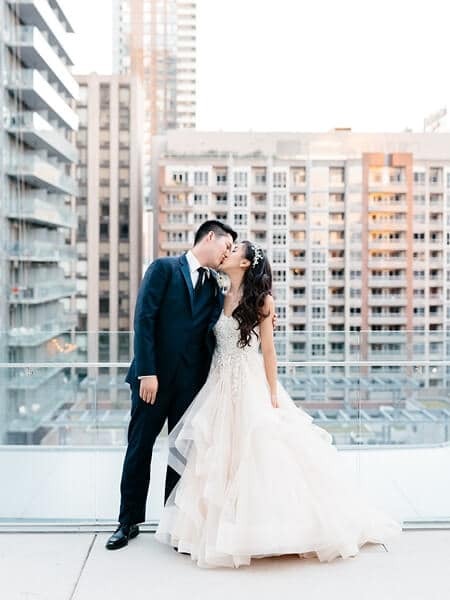 Emily and Hyo dreamed of a classically elegant wedding in a central location – after looking at a few venues, they chose Toronto’s trendy downtown venue Malaparte – Oliver & Bonacini and hired Rebecca Chan Weddings & Events to take on the details of planning the wedding of their dreams. 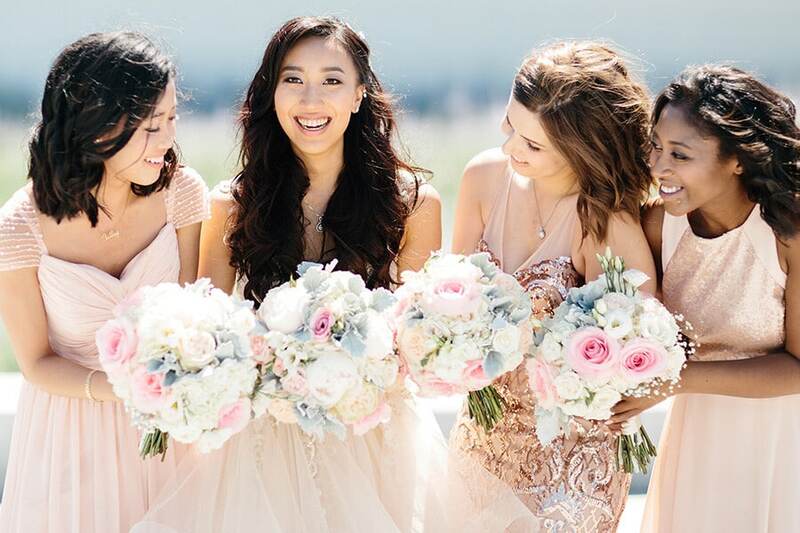 Featuring pastel colours, delicate florals, a graceful lace gown for the bride and light pink dresses for the bridesmaids, this wedding is absolutely darling. 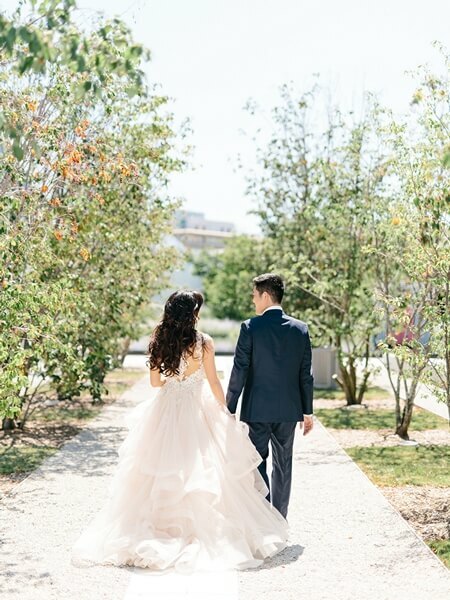 Revel Photography didn’t miss a single precious moment. 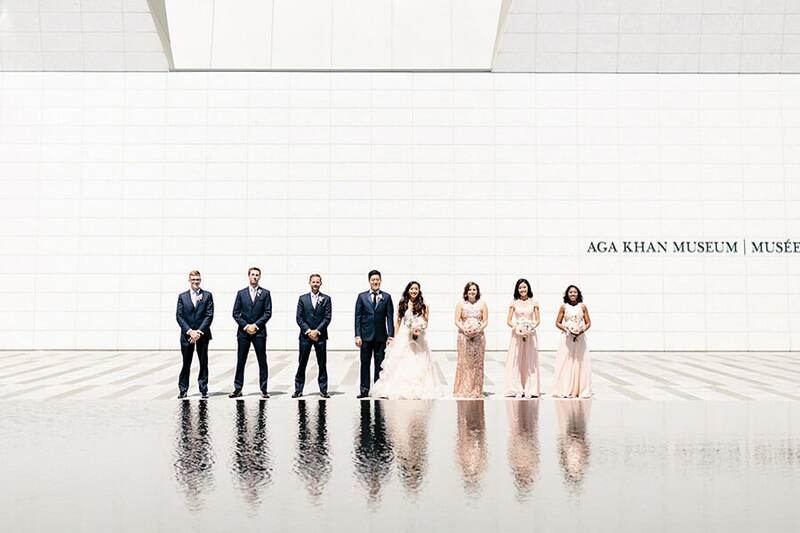 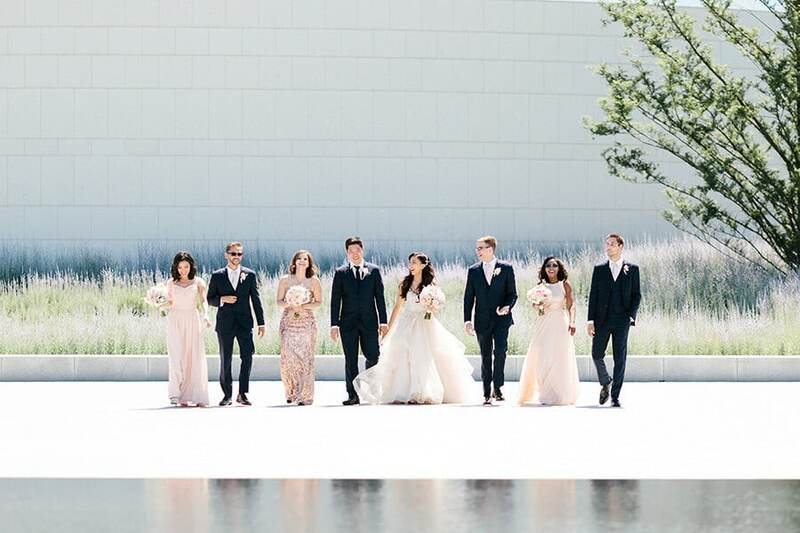 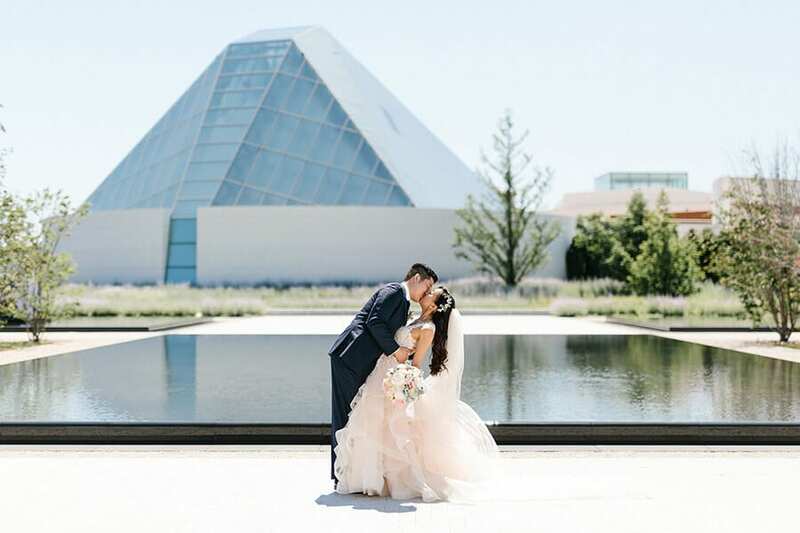 Emily and Hyo were joined by their wedding party for a fun shoot at the Aga Khan Museum. 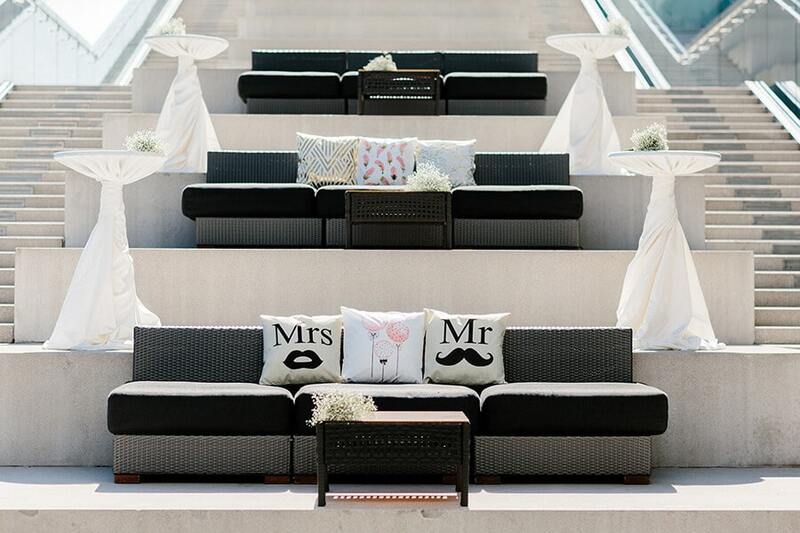 Later, the two of them had a more intimate photo session on Malaparte‘s rooftop. 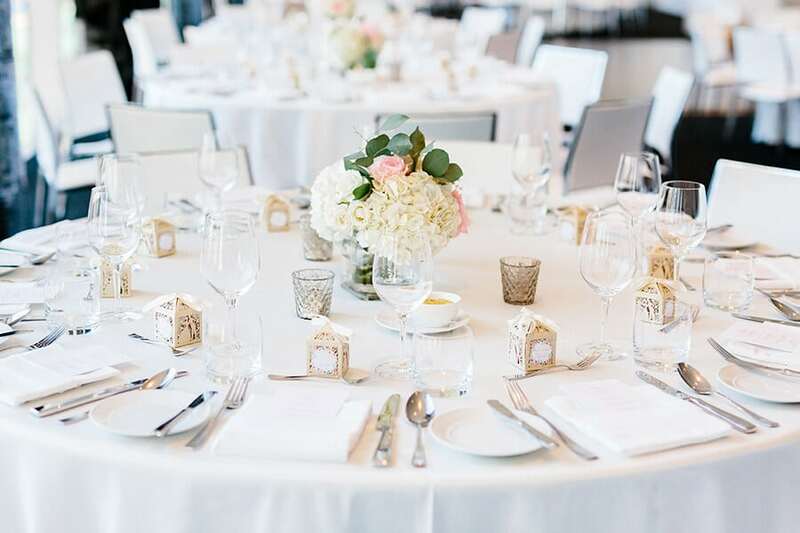 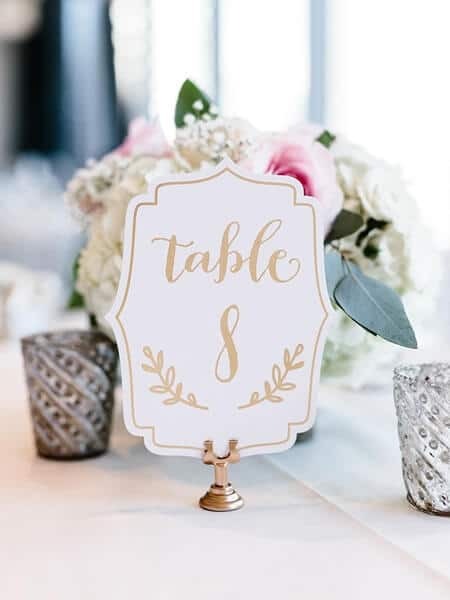 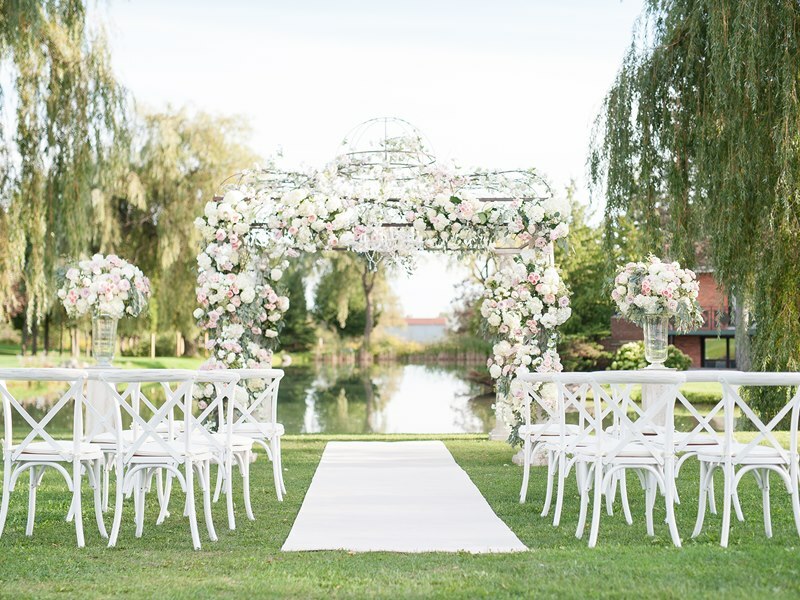 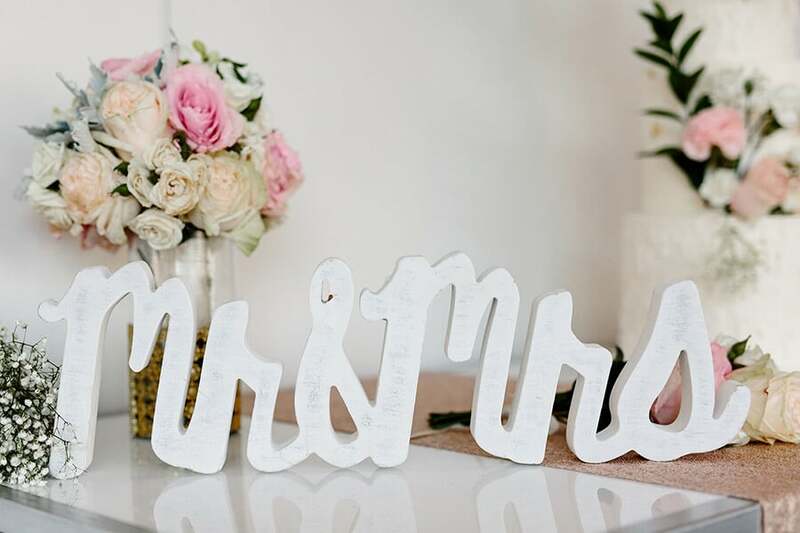 The reception was held in a swanky dining room dressed all in white and decorated with soft-toned, sweet-smelling florals provided by Blooms Studio. 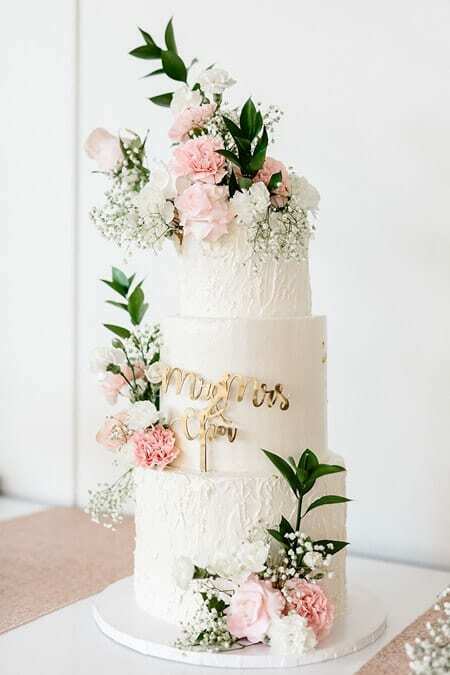 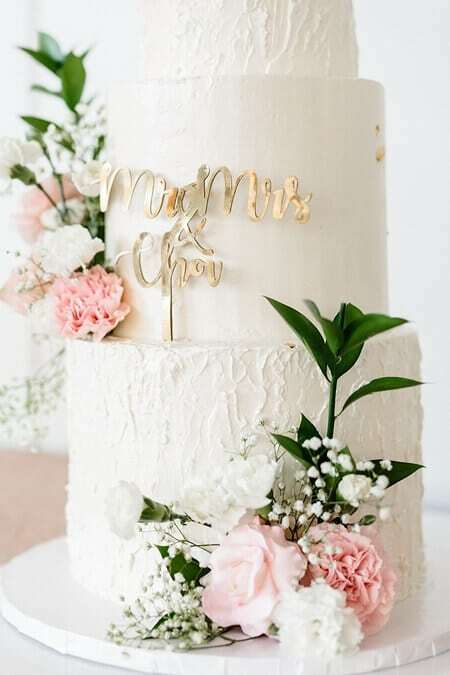 Following a series of delicious dishes catered by Oliver & Bonacini Events and Catering, guests enjoyed Perfectly Sweet‘s divine three-tiered cake, which was topped with fresh flowers to tie in with the decor. 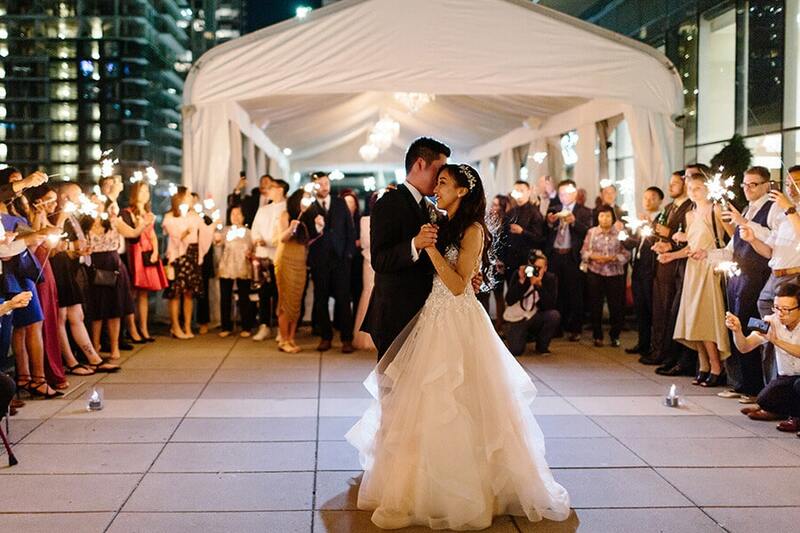 Grateful for the nice weather, after the meal, Emily and Hyo celebrated with their guests out on the roof top under the night sky. 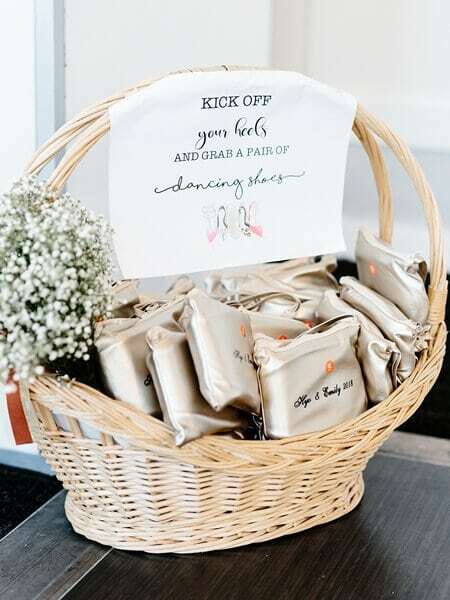 The couple provided guests in attendance with flats in case their feet hurt from wearing heels, which kept everyone dancing all night long!